"We are giving back the true ownership of the assets to players"
The last couple months have seen a noticeable uptick in the number of companies exploring the intersection of blockchain tech and gaming, but there's one group that set up shop on that particular corner over a year ago. In November of 2016, Lyon, France-based B2Expand held its initial coin offering for Nexium, an Etherium-based cryptocurrency that it would use for its PC strategy game Beyond the Void. 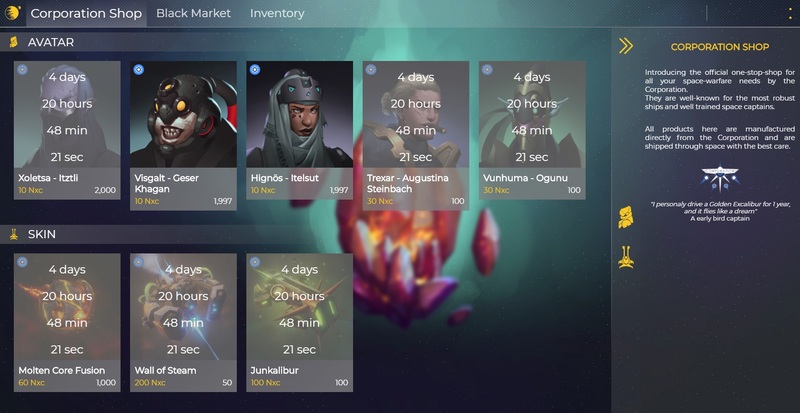 Earlier this month, the developer gave holders of the currency something to spend the money on, opening its Nexium-powered storefront for in-game items. B2Expand co-founder and COO Manon Burgel recently spoke with GamesIndustry.biz about the project, and what the company feels blockchain technology has to offer the industry. "We started from the idea that in today's games you never really buy the assets," Burgel said. "The in-game items are never really yours; you're just buying the right to use them. So if you buy a League of Legends skin, you're not the owner of the asset; you just have the right to use it in your game account. Using blockchain can change that... The blockchain is decentralized, so we don't store any in-game assets on our servers. It's stored in a decentralized way on all the computers running the blockchain." The blockchain technology ensures that someone can't just create unlimited copies of whatever digital asset they buy, but it also gives that asset a bit more permanence. If a player is suspended, loses their account, or simply stops playing because they get tired of the game, they still own the in-game assets they buy. Burgel said this idea has two key ramifications. First, B2Expand doesn't control the assets it sells, so players can trade between themselves while paying nothing to the developer. "That is a big part for us, because we are giving back the true ownership of the assets to players," Burgel said. That plays into the second key idea for B2Expand, which is that it could facilitate a fairly unconventional method of crossing over franchises and brands without the need for licensor agreements. "We still own the intellectual property of the picture of the asset, but what's not under our control is how people can take these assets and implement them in their games." "The blockchain is open source, it's public. So we could detect some assets in user wallets because everybody can see them; you just have to look for the right ID of the asset you're looking for and then you can detect the asset in users' wallets. This is interesting because we could implement other functionalities in other games using these same assets, meaning one asset stored in a user's wallet could be used not just in one game, but in all the other games we develop, games we want to publish, and even in games developed or published by other companies. If they want to use the assets we produce to implement functionality in their game, they actually can." It sounds similar to how a child playing with toys doesn't need licensor approval to have the Transformers team up with My Little Pony to take down Thomas the Tank Engine. By making physical toys of each, these companies have accepted that such an event is a (perhaps inevitable) possibility. Beyond simply cutting and pasting items into other games, this also allows for developers to adapt assets to better suit their titles. 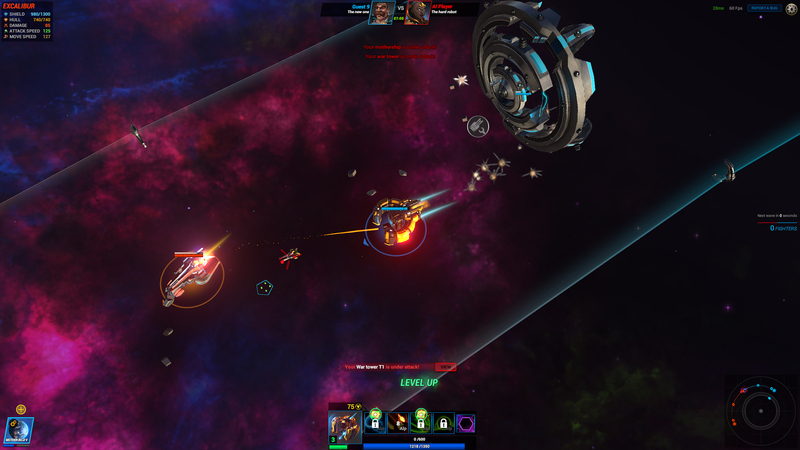 For example, B2Expand partnered with Swiss-based EverdreamSoft and its blockchain-powered trading card game Spells of Genesis, so a space pirate avatar purchased for the sci-fi game Beyond the Void would see the character helming an ocean-bound pirate ship in Spells of Genesis' medieval fantasy setting. Burgel admits that big publishers might not go for this idea in its current form, especially since B2Expand isn't taking a cut of the money on second-hand sales so there's no extra revenue to cut publishers in on. But she said players will have more incentive to buy things when they know there's a sense of ownership attached to them, when they might be able to use them in other games or transfer them to other players down the line. The Beyond the Void storefront includes sections to buy from the developer or from other players. It's certainly an interesting idea, and one that seems to have garnered support from at least one big publisher. Ubisoft tapped B2Expand to participate in the inaugural six-month season of its Paris-based incubator project Station F. Burgel said B2Expand has benefited from having mentorship and guidance from such an established partner when it comes to the logistics of finance and setting up their company, while her team is helping Ubisoft stay well-informed on an emerging trend that could have serious implications for the gaming industry. It's fair to say Ubisoft's interest is piqued. The first batch of Station F participants included teams working in artificial intelligence, virtual reality, augmented reality and, thanks to B2Expand, blockchain. They're going to be wrapping up their runs in the coming weeks, but when Ubisoft put out the call for its second season of Station F, it limited applications specifically to teams working in either blockchain or mobile AR. Recent weeks have raised concerns of a bubble surrounding cryptocurrencies. After hitting highs of nearly $20,000 in mid-December, the best-known cryptocurrency Bitcoin has seen huge fluctuations, dipping below $10,000 briefly this month, and currently trading under $12,000. Burgel isn't especially concerned about talk of a bubble for a few reasons. B2Expand is based on Etherium instead of Bitcoin, and the Etherium blockchain has been less volatile. It also helps that, in addition to game development, B2Expand is offering consulting services for other companies in the games industry with their own ideas on how to incorporate blockchain into their business models. "We are more interested by the blockchain technology and what it can do, than in cryptocurrencies just for themselves," Burgel said. "Of course, the popularity of blockchain--and thus the user base it can gather--is important, especially because it gives visibility to our project. But in the end, our real goal is to use blockchain to improve the video game industry, and re-think how we generate revenue in the culture sector."